Looking for a monthly, quarterly, or yearly recognition piece perfect for your office? We have it here! These Cherry Finish Grooved Economy Perpetual Plaques feature a beautiful wood plaque with blackened groves surrounding a large header plate and small individual plates. 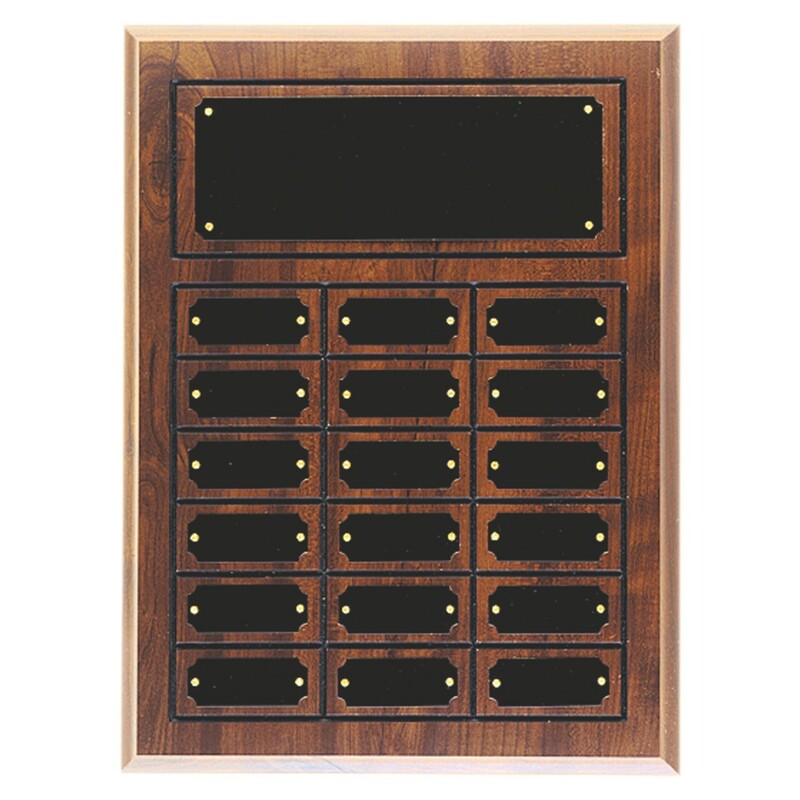 The large header plate is perfect to display your award title and company logo, with smaller plates for individual names. Free engraving on the header! 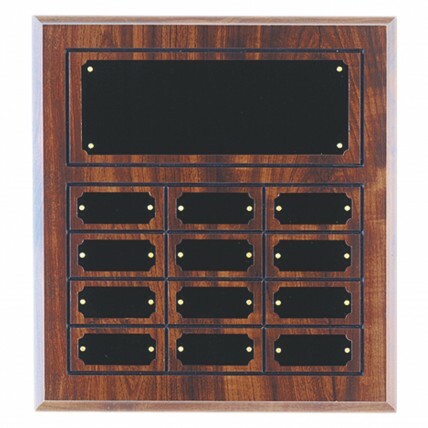 Use these perpetual plaques as a monthly, quarterly, or yearly awards!